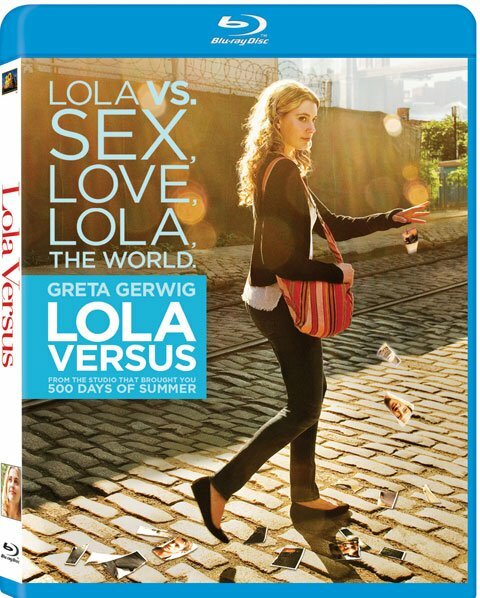 Fans are just a couple of days away from Lola Versus’ timely Blu-ray release. The film will hit Blu-ray and DVD on September 11 in a set that features quite a lot of extras for a film that never got a big promotional push. To celebrate, Twentieth Century Fox Home Entertainment has dropped us an exclusive sneak peak at one of the bonus features on the disc. If you want to give the video a twirl, you’ll be privy to an emotional deleted scene where Lola’s ex-fiancee returns to explain why he left her. Daryl Wein’s recent tale of an engaged woman dumped three weeks before her wedding hit some fine notes, and Greta is perfectly cast as the self-centered Lola. In the scene, called “Luke at Lola’s Door,” Lola capably gets across the rage and hurt that are still inside of her after being dumped when her ex-fiancee shows up at the doorstep to bring her breakfast. The chocolate bobka peace offering isn’t enough to get her to open the door, but it is a reminder that, although the two are separate, there is still something between them. “Luka at Lola’s Door” is just one of several deleted scene offerings with the set. Unfortunately if you want all of the good stuff, including the deleted scenes, a featurette on the film’s premiere, and several segments on Gerwig and her character, you’ll have to spring for the Blu-ray with this set. Luckily, the Blu-ray ($29.99) will run you just a penny more than the DVD ($29.98), so if you have the technology and plan to purchase the film, you might as well trade up. You can check out the full list of extras, below.